National Gardening week begins in a blaze of sunshine, what better time to get out into the garden and work some magic! This year National Gardening Week will focus on ways to inspire home gardeners to gain new green skills as well as gain the many health benefits of growing plants and being active outdoors. Here in the Nursery you will receive lots of inspiration to make that gardening project a reality. If you are lucky enough to have a heated greenhouse, we have a wonderful selection of home grown Fuchsias and Geraniums to choose from , together with our specialty packs of Aylett’s choice containers and hanging basket plants and we have just received our first delivery of grafted vegetables. If you are preparing your baskets, pots and containers we still have a selection of kinder-garden plants, starter plants and plug plants available. For your garden we have a lovely range of Rhododendrons coming into flower which will add instant interest. 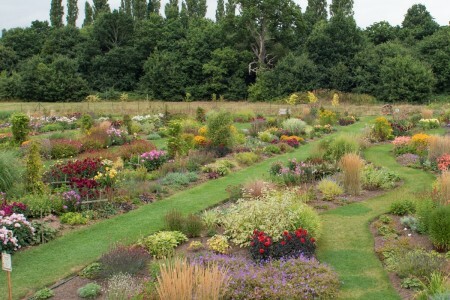 We are particularly keen to help new gardeners and offer as much advice and guidance as possible. To this end we have a dedicated Plant and Information Centre in the Nursery that is open 7 days a week and we produce over 40 information leaflets to assist you. So do telephone or pop into the garden centre in person and we will be happy to help!